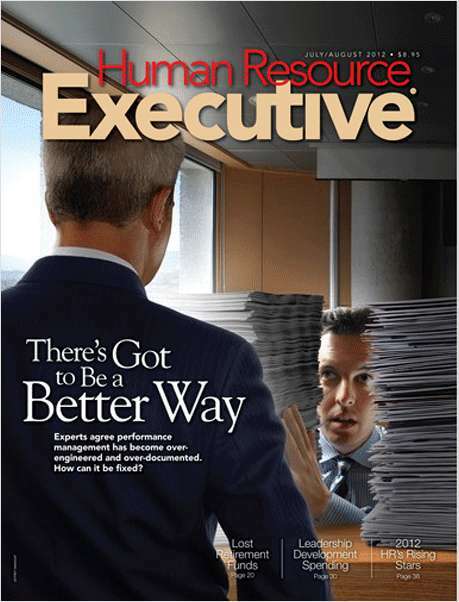 Free Publication: "Human Resource Executive"
If you qualify, you'll receive a free, 15 issue trial subscription to Human Resource Executive, the premier publication focused on strategic issues in HR. By submitting this content request, I have legitimate interest in the content and agree that LRP Magazine Group, their partners, and the creators of any other content I have selected may contact me regarding news, products, and services that may be of interest to me. Is the above your business address? Please start my free 15 trial issues to Human Resource Executive (No payment information is required at this time). By providing your email address you are granting Human Resource Executive permission to contact you regarding your subscription. May Human Resource Executive use this email address to contact you about other product offerings? For purposes of verification, what is the first letter of the month you were born?